Lyssy May can work with you to create your very own design. 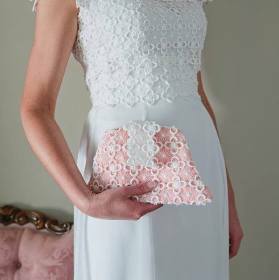 Whether it is turning that special piece of fabric you've had for years into something you can use, or creating bags for brides and bridesmaids, we can work with you to add something made to treasure to your wardrobe or special day. It also possible for us to modify any of our designs to create a customised look for you. This could be as simple as changing a handle length or you may wish to have a design made in an alternate fabric. Contact us to start the conversation about our personal design service.